Can Your Eye Color Really Change? 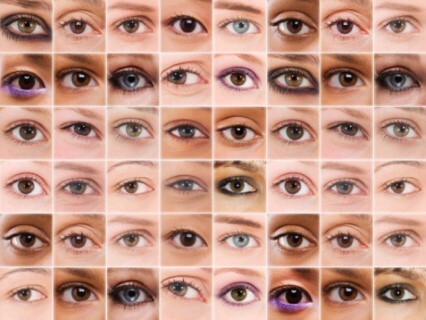 Some people claim their eye color has changed because of age or mood swings. It’s not that uncommon to hear people claim their eyes were a different color or slightly different shade when they were children. So the question is can your eyes really change color? Is that possible? The Wall Street Journal attempts to put this issue to rest once and for all. They spoke with Ivan Schwab, a professor of ophthalmology at University of California, Davis, and a clinical spokesman for the Academy of Ophthalmology. Eye color doesn’t really change, Dr. Schwab says. Most Caucasians are born with light eyes, but the pigment tends to settle by about a year, says Dr. Schwab. “Some studies suggest that eye color can change a tad with age, but for most people, eye color is fixed after the first year of life,” Dr. Schwab says. There are exceptions, such as during puberty or pregnancy, when pigments might darken slightly. Bloodshot eyes or what color shirt you’re wearing may make your eyes appear to change color. When a person looks into someone’s eyes, he is influenced by the colors around it. Dr. Schwab’s eyes are green, for example, which means he has some pigmentation but not a whole lot. He’ll often wear yellow or green, which can amplify the scattered light reflecting back. “If I wear a shirt that is complementary, my eyes may appear to be a different color, but the wavelength is the same,” says Dr. Schwab. No matter how many YouTube videos suggest otherwise, a human iris doesn’t change color with emotion. When a person’s eyes have red, dilated blood vessels from anger, his eyes may appear to be greener because of the contrast, Dr. Schwab explains. When pupils become dilated during moments of grief or extreme happiness, “the eye may seem a little darker because the pupil is so black,” he says. Seems like Dr. Schwab did put the issue to rest. Very interesting science. What do you think?